The 2013 update of Target Zero is the fourth update of the plan since its inception in 2000. Although this is a revision of an existing plan, we took a completely fresh look at the data and strategies. This created extra work, but has resulted in a plan that is effective and useful for a wide range of Washington’s citizens, government policy makers and traffic safety professionals. To gather input from a broader stakeholder group, a Target Zero Partners’ meeting was held in March 2013.There, more than 150 additional people involved in traffic safety across the state provided feedback and input on strategies for addressing the priority areas. In August 2013, a draft of the plan went out for external review by Tribes, partners and stakeholders. Motorcycle Safety Foundation – The Motorcycle Safety Foundation® is the internationally recognized developer of the comprehensive, research-based, Rider Education and Training System (RETS). 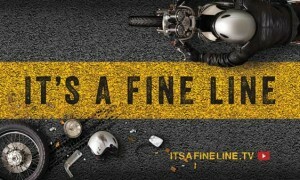 Washington Traffic Safety Commission – While overall traffic crash fatalities continue to decrease in Washington, motorcyclist fatalities continue to rise.